We are excited to bring you some extra prize opportunities in the form of FEATURED GIVEAWAYS! These giveaways are run separately from the daily giveaways, offering a different opportunity to win some amazing bookish prizes. Be sure to read through the directions of these giveaways thoroughly to ensure you know how to enter for these prizes! Today, we bring you a special surprise from Quirk Books! Quirk Books is headquartered on a quiet cobblestone street in the historic Old City district of Philadelphia. Quirk publishes just 25 books per year and every title is a labor of love. Our books are distributed worldwide by Penguin Random House. . PLEASE NOTE: This prize is only available to residents of US only. To enter, simply fill out the form below. Ten winners will be chosen using this one form. The entry form is open until Saturday, June 3 at 12:00 Midnight EST. The winner will be contacted via email as well as announced here on the site once all featured giveaway winners are confirmed. Winner will be required to confirm prize winnings within 48 hours, so be sure you are watching your email closely. Today, we bring you a special surprise from Boquillas' Window, the great artist behind our new Armchair Book Expo design!! 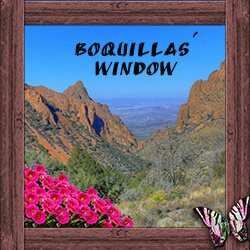 Boquillas’ Windows is a dedicated graphic arts company that offers quality services for authors, small businesses, publishers and the public for reasonable prices. We have created website banners and buttons for Armchair Book Expo and other conferences. Boquillas’ Windows has recently added author swag to the list of services we provide. We also create book covers and social media graphics. 1 book cover for print and ebook. 1 small, 1 medium and 1 large blog button. 1 logo for your website/blog. 1 Wraparound Two Toned Coffee Mug with your new logo on it. PLEASE NOTE: This prize is only available to residents of US & Canada. To enter, simply fill out the form below. One winner will be chosen using this one form. The entry form is open until Saturday, June 3 at 12:00 Midnight EST. The winner will be contacted via email as well as announced here on the site once all featured giveaway winners are confirmed. Winner will be required to confirm prize winnings within 48 hours, so be sure you are watching your email closely. When I was thinking about best practices, book blogging, and what I wish someone had told me 8 years ago, this list of my favorite resources and tools immediately came to mind. It's funny thinking back to 'so long ago' when the only tool available was number 1. So many of these have come along since I've been blogging. Just as I'm sure we will add more to our toolbox in the coming years. There have been times I've taken a slowed down or even taken an extended break from book blogging. Do you know what always brings me back? I miss the community. These are a few of my must-have tools. I'd love to know which ones you use. Share YOUR favorites in the comments! 1. The book blogging community, itself. One of the things I love about being involved in the book blogging community is just that - it's a community. 2. Events in the book blogging community that promote collaboration, community, and confidence in blogging like Armchair Book Expo. Another favorite event is the quarterly Bloggiesta. 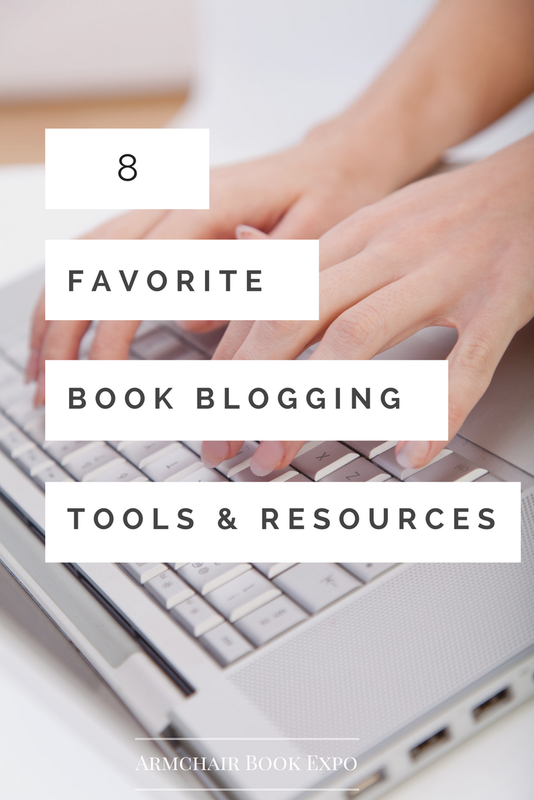 This page alone will teach how to do most anything you need to know as a book blogger, no matter which platform you use. 3. Edelweiss and NetGalley. Have you signed up for these sites so you can request an electronic advanced reader copy? Definitely. a. must. 4. The Ultimate Book Blogger Plugin is a fantastic plugin that will help you to track and organize your reviews. 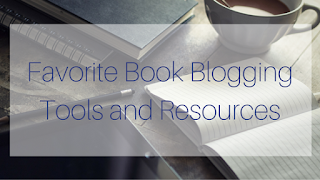 Ashley from NoseGraze also offers several book blogging themes, but if you get nothing else, the UBB plugin is a must. Canva . While there is a slight learning curve, this image design site is worth the time you invest. As focused on social media the internet has become and with the growth of Pinterest, the ability to create quick, easy, and consistent images is vital as you create your brand. Mailchimp. If you haven't heard this yet then please allow me to impress upon you the importance of creating an email list. It does not matter if this is day one of your blog being out in the world, you NEED to start collecting emails. Mailchimp allows you to send up to 12,000 emails a month for FREE. Plus it is user-friendly with lots of tutorials. Buffer. I've tried several of the social media share sites such as Buffer, CoSchedule, and Hootsuite. Buffer has, by far, been the easiest to use and most user-friendly (for this technologically challenged blogger!). Google Drive. Probably the number one tool I use for everything. Within Google Drive you can draft a blog post, track the books you've received, create a budget, run a giveaway, and a million other things. You must have a gmail account to access the Drive and then it's like you've got Microsoft Word, Powerpoint, and Excel Spreadsheets at your fingertips - online AND offline! Welcome to Armchair Book Expo 2017! 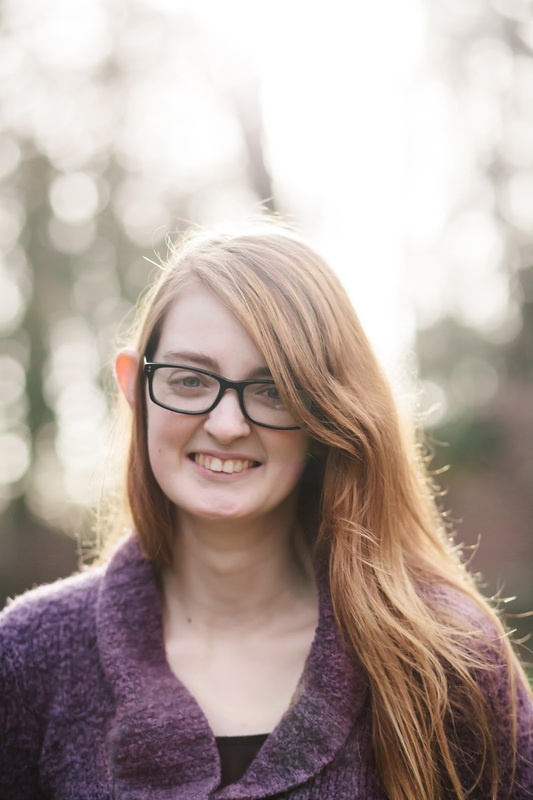 Today we are kicking off the event with introductions, so let us give you a quick introduction to our Armchair Team! Currently ... I am writing "Field of Grace", a Christian historical fiction book set right after WWI about forgiveness, love and family. 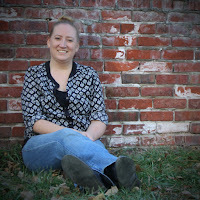 I am ... an author, screenwriter and business owner. I full-time RV around the United States with my husband, Delfin Espinosa, and our dog, Lakota Sioux. My summer plans ... My husband and I will be visiting with several state parks to film educational videos and promote our educational business, Academic Warriors. I also plan to finish a few writing projects. I am . . . a 26 year old newlywed and lifeblogger with two young kittens and a full plate of life! My current read . . . is a devotional called The Comparison Trap. It's a good read! My summer plans . . . are working, enjoying the sun, and spending time with family! My blog/channel/social media . 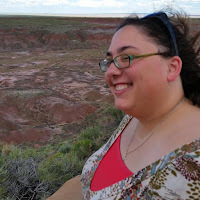 . . is The Librarian's Bookshelf on blogger, @arielrwilson on twitter, and @arielrwilson on Instagram! The best . . . part about this week is how many readers and bloggers come together to share a love of reading! I am ... from Books Buying Beauty returning for a third year to Book Expo. Currently ... my great grandfather and I are on another road trip driving out to NYC for Book Expo. This is our fifth year doing road trips together. 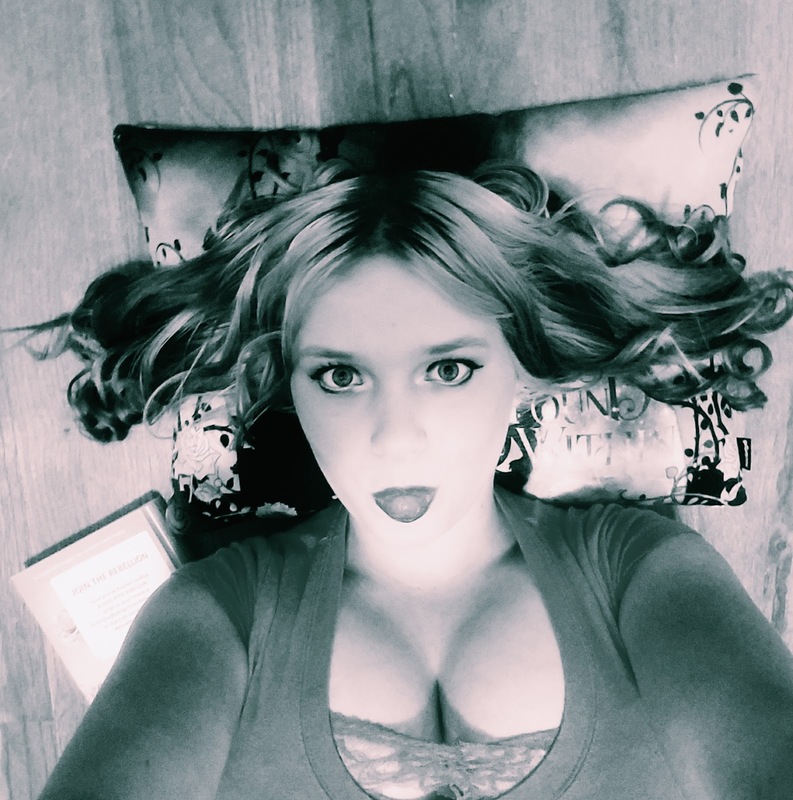 My blog ... name is Books Buying Beauty however I have been more active on Instagram lately. You can find me on there and Twitter under the username Bookz4nerdz. I am ... Deb Nance, a blogger, a librarian, and a reader. I love ... Paris, my guitar, walks, drawing, my blog, and good books. My current read ...The Hate U Give. Tense. I am ... a mother, a teacher and a bookaholic. My summer plans ... include teaching braille and doubling the size of our family! Hoping to get some good reading and blogging done too. My blog/channel/social media . . . Based on a True Story (http://www.spiritblog.net). http://www.twitter.com/dvmheather I'm @dvmheather on Instagram and Litsy too. 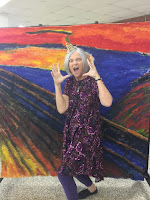 I am ... a veterinarian, a reader, a quilter, a photographer, and a travel lover. Also a true believer in the Oxford comma. I love ... all genres of books especially if they are set somewhere far away from me. I love nonfiction about niche topics that fill my head with useless facts. I love books about food. I am ... a book blogger & bookstagrammer of YA literature from Mexico. My book blog ... is called The Reader and the Chef (www.thereaderandthechef.com) & my Instagram is @thereaderandthechef. 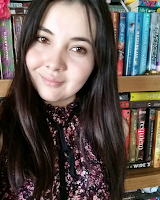 I'm also the Instagram Manager & a Staff Reviewer for YA Books Central (www.yabookscentral.com). 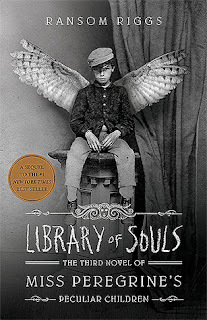 My all-time favorite ... books are Harry Potter by J.K. Rowling, Stolen Songbird (The Malediction Trilogy) by Danielle L. Jensen, and The Iron Fey series by Julie Kagawa. As you can see, I'm such a big fan of Fantasy books! I am ... Monika and my blog is Lovely Bookshelf (www.lovelybookshelf.com). You can find me @lovelybookshelf across social media. My current reads ... are Revolutionary Mothering: Love on the Front Lines (edited by Gumbs, Martens, and Williams) and Meanwhile, Elsewhere: Science Fiction & Fantasy from Transgender Writers (edited by Plett and Fitzpatrick). My summer plans ... include playing music (that's my day job) and spending a lot of time at the beautiful snow-white beaches here in Pensacola, Florida. I am ... a native Michigander. Currently ... I am working as a librarian. My current read ... is a murder mystery set in space! My buddy ... is my hubby. My blog/channel/social media ... is Purple Owl Reviews. You can find me on Twitter, too! My favorite ... The best advice I ever received came from a friend who loved the lengthy emails I wrote to him at sea. He said I should ‘start one of those blogs’ and talk about the books I enjoy reading. 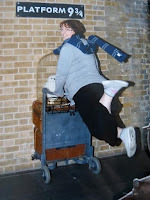 That was over 8 years ago, and I’ve been blogging since! My buddy ... in all things is named after a famous bottle of hot sauce ~ here’s a photo of me and TaBasco in the Arizona sunshine. 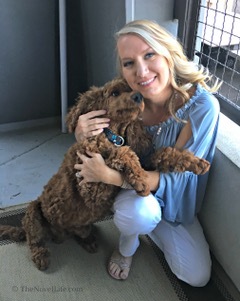 He’s a 6-month old standard poodle, and the love of my life. Well. . . after my sweetheart and 3 children and 2 grandchildren, of course. I am…. Stephanie (aka Gorelenore online). 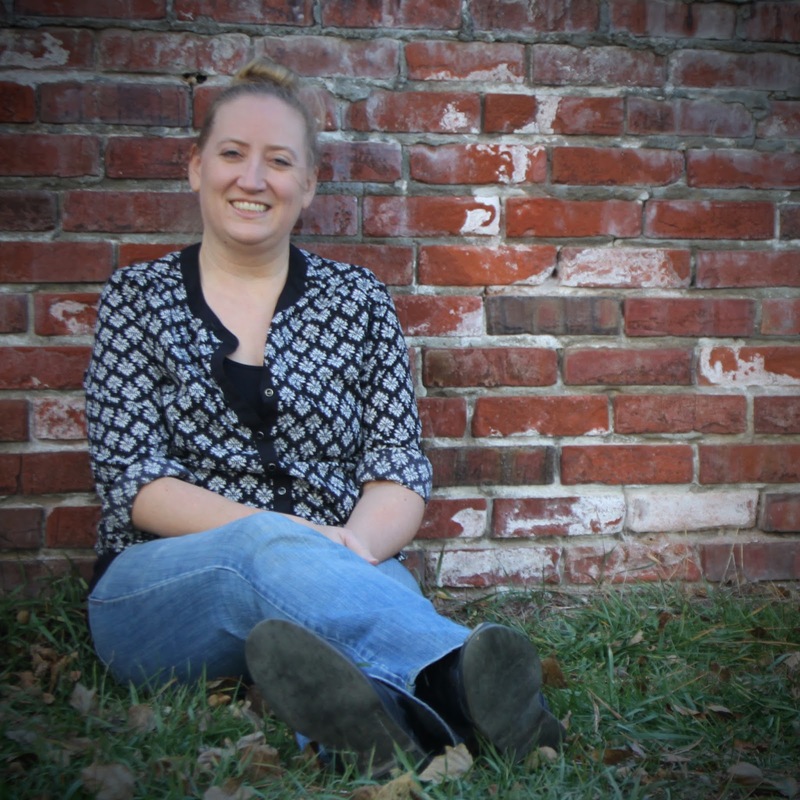 I am part of the Sponsorship Team with Armchair Book Expo. 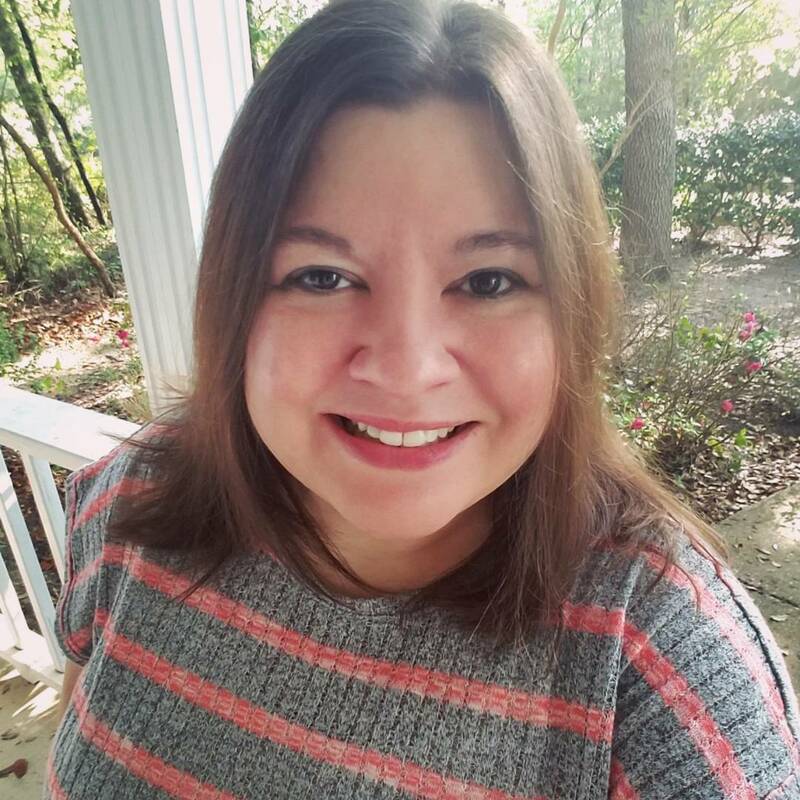 I am also a… reader, blogger, pet mom, full-time administrative assistant, lover of World of Warcraft, big sister of eight (9 of us total), and generally very nerdy person. My current read … is so many things! While writing this, I am reading a physical version of Get it Together, Delilah! 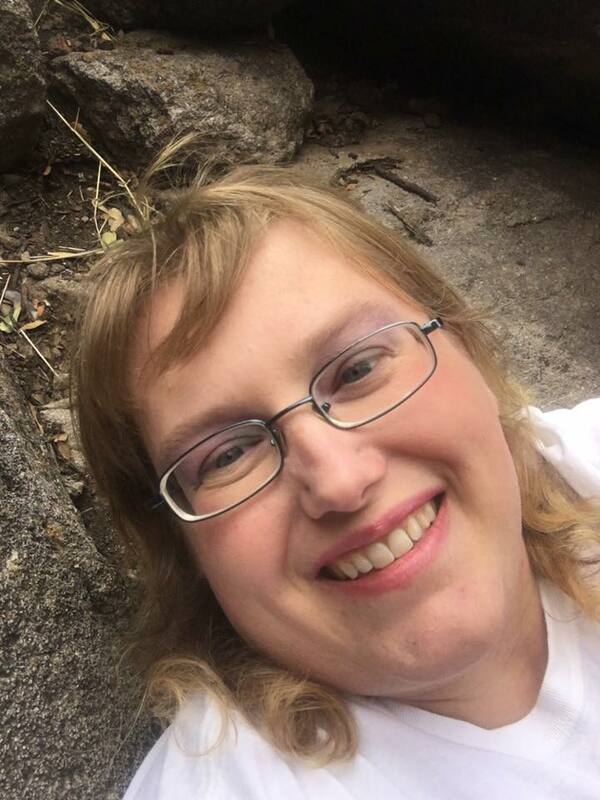 By Erin Gough, I am listening to A Game of Thrones by George RR Martin on CD when I am in my car, and I am listening to Grave Mercy by Robin LaFevers via an Audible download whenever I can. I am ... a blogger of 10 years at Tif Talks Books, one of the original founders of Armchair Book Expo (what used to be Armchair BEA), and co-creator of Book Bloggers International. I am also a mother, wife, freelance writer, advocate, and during the academic year, elementary school counselor. My current read ... is actually one of many! I am currently in the midst of reading lots of books at the time of this writing: RUMP by Liesl Shurtliff, SOULLESS by Gail Carriger, FOSTERING RESILIENT LEARNERS by Kristen Souers, HARRY POTTER AND THE ORDER OF THE PHOENIX by J.K. Rowling, DELIRIUM by Lauren Oliver, THE BOY WHO WAS RAISED AS A DOG by Bruce D. Perry, 101 FAIRY TALES by The Brothers Grimm, and THE COMPLETE SHERLOCK HOLMES, VOLUME 1 by Arthur Conan Doyle. My blog/channel/social media ... can all be found under Tif Talks Books (tiftalksbooks). Here's a few links of where you can find me online: website, Twitter, Facebook Page, Instagram, and Tumblr. Welcome to another year of Armchair Book Expo!! On this first day, we get to introduce ourselves and get the party started. Let's not wait any longer! Introductions: For this year's list of introduction prompts, click here. 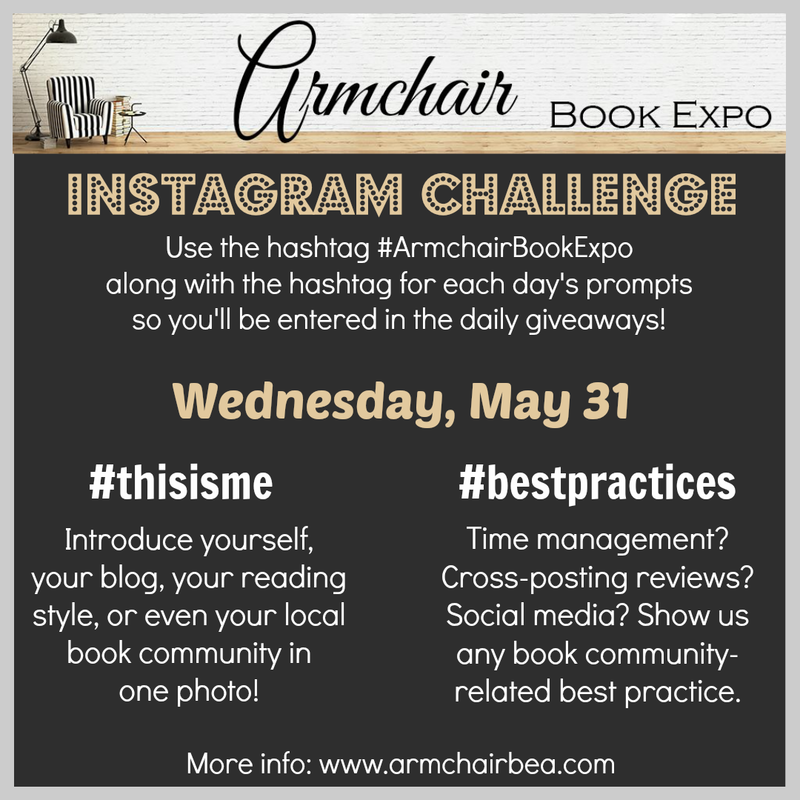 In five days, Armchair Book Expo 2017 will be kicking off another great year filled with daily topics, guest posts, giveaways galore, and so much more! Before all the excitement really begins, we thought we would share a little how-to guide to aid in making Armchair Book Expo the most successful for you! 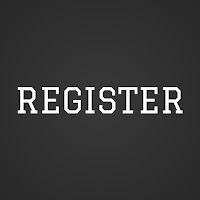 GET REGISTERED: If you have not already registered, you can do so here. You can also confirm that you are an official participant by checking out our 2017 Participant List here. Please note that this list is manually updated and you will not see your name appear immediately after registering. KNOW THE AGENDA: You can find the full agenda and schedule here. Just as in past years, we have dual daily topics -- one for blogging and one for books. Also as in past years, we will be having only one linky each day for you to link up to. Be sure you are paying attention to the directions for linking up to make it easier for other participants to visit your contributions (more information below and also posted with each linky). LINKING UP TO DAILY TOPICS: Daily topics will be posted at 6:00 AM EST to coincide with the Book Expo in real time. This is your chance to link up as well as visit all the other participants' entries. For convenience purposes, we do request that you turn off word verification for your comments during this week to allow ease of conversation for all those participating. 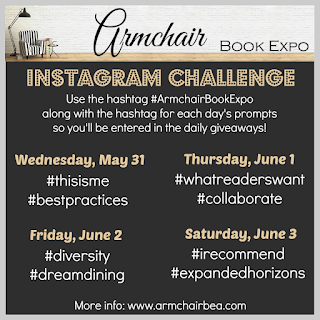 When linking up to daily topics, please use the following format for ease of navigation from other participants: Name @ Blog Name - Daily Topic Represented (i.e., Sally @ Armchair Book Expo - Literature OR Sally @ Armchair Book Expo - Introduction & Diversity). Please use only permalinks (links going directly to the designated post) when linking up. PREP YOUR INTRODUCTIONS: The first day of the event, we ask that you introduce yourself using a preset list of ten questions, of which it is recommended that you answer a set number. With hundreds of participants, this allows everyone to visit as many blogs as possible without getting too bogged down. You can find the 2017 prompts here. 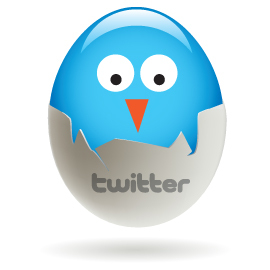 TWITTER PARTIES: We are so excited to be hosting a Twitter party EVERY single day of our event this year. Be sure to check out the full schedule here. All Twitter parties have also been added to our official Armchair Book Expo Schedule. 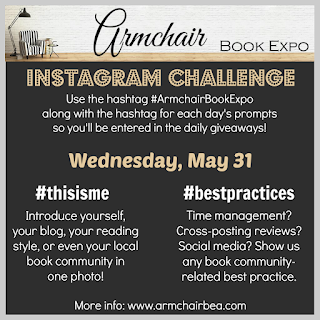 Follow @ArmchairBEA as well as #ArmchairBookExpo to receive the full experience of the bookish chatter! We also recommend using Tweetdeck or Tweetchat to follow the conversation. It often moves very quickly and can be difficult to follow on the main platform. 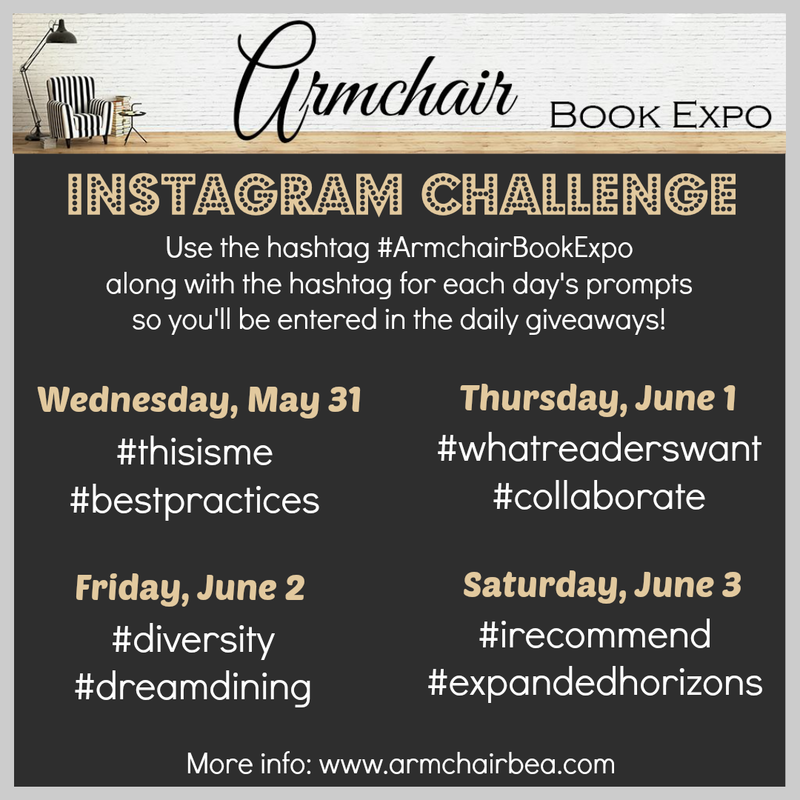 INSTAGRAM CHALLENGE: We are excited to host our Instagram Challenge again this year! Click here for more information. You can also view the full detailed schedule here. GIVEAWAYS: If you have not yet had the opportunity to visit our list of sponsors and their items available through the giveaways, be sure to check them out here. You may want to even begin making your wish list in case you are a chosen winner! And, don’t hesitate to send a shout-out to any and all of our sponsors throughout the week! We will also have a couple of Featured Giveaways that will be run separately than the daily giveaways. Be watching the website for more information during the event! Are you ready for another great year of Armchair Book Expo?!? We sure are and cannot wait to share the latest and greatest news with you as well as a multitude of surprises!! Here's to another great year!! INSTAGRAM CHALLENGE: Who's In For Some InstaFun?! One week from today, Armchair Book Expo kicks off another year of fun! And, it would not be the same without our Instagram Challenge! Mark your calendars and start those creative juices flowing for these awesome daily prompts! Be sure to check out the entire agenda and schedule for the week here. Which day are you most excited for? Armchair Book Expo is quickly approaching, with the big event kicking off next week!! Can you believe it?!? With it so close to the big event, we know that many of our participants like to plan ahead, and as usual we want to share our recommended introduction questions with you. We have listed a number of options for you, but we recommend that you choose 3-5 items to answer. By keeping it short, it allows participants to visit more links and spread more of the comment love. For our 2017 event, we have decided to change things up and not actually include questions. Instead, we have given you a list of prompts and ask you to complete the sentence! Here ya go . . .
We hope you have fun completing these prompts while also introducing yourself! For the full agenda, check out our Agenda & Schedule page. MARK YOUR CALENDARS: Twitter Parties are Coming!! Pull out those calendars and take note! It's time to announce the full Twitter party schedule for Armchair Book Expo! !